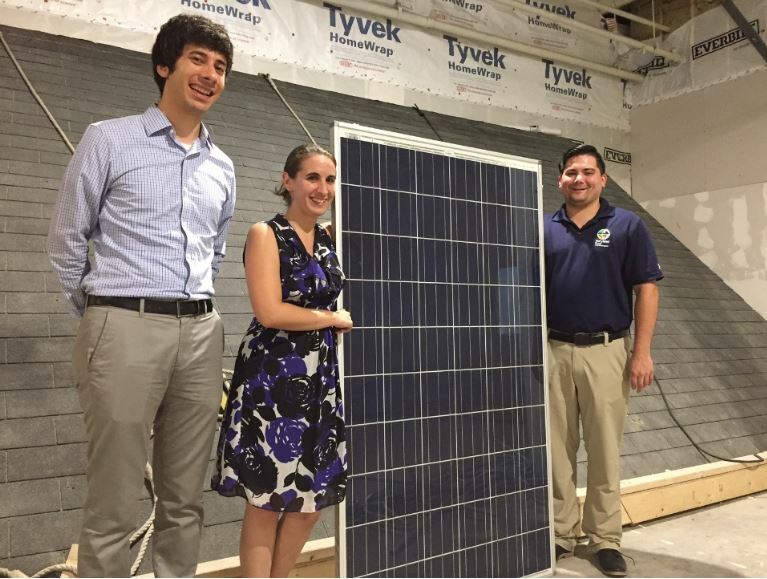 At Civic Works’ Center for Sustainable Careers, workers gain green construction skills in weatherization and solar installation, by working on a mock-up of a Baltimore home and asphalt shingle roof. Civic Works, Inc. utilized a 2017 FY17 Clean Energy Communities Low-to-Moderate Income Grant Program (LMI) grant to upgrade low-to-moderate income resident housing in and around Baltimore. Applying funds from the Maryland Energy Administration (MEA), Civic Works completed comprehensive energy efficiency upgrades including home weatherization, HVAC upgrades, and lighting improvements via their Project Lightbulb program. Civic Works also operates comprehensive green career training programs, including tracks in weatherization and solar installation. At Civic Works’ Center for Sustainable Careers, workers acquire the certifications and hands-on skills needed to succeed in careers within the emerging green economy. “The MEA LMI program has an enormous impact on families and communities,” stated Evie Schwartz, Associate Director of Outreach and Production for Civic Works’ Energy Programs. “Home energy efficiency alleviates the burden of high energy bills, while also addressing critical home repairs that make homes more comfortable, safer, and healthier for families. The funding also supports the growth of Maryland businesses and creates family-sustaining green jobs for residents in our local communities,” concluded Schwartz. Working in concert with MEA, Civic Works has been able to perform 269 energy audits and upgrade 714 homes with their 2017 LMI grant program funds.